Bark Lake Leadership and Conference Centre is hosting an Environment Canada training session for amateur storm spotters. CANWARN Storm Spotters provide valuable, real‑time, on-the-ground information during severe weather. Environment Canada is looking to recruit new volunteers and refresh existing volunteers in the area. The training is free to attend and lasts about 3 hours. Registration is required for this event. CANWARN volunteers share local weather details with the Ontario Storm Prediction Centre. This information gives meteorologists a good sense of which storms may produce damaging weather like hail, flooding or even tornadoes, so Environment Canada can issue localized severe weather warnings. Training will be led by Geoff Coulson, Warning Preparedness Meteorologist. Participants will learn about severe and non-severe thunderstorms, the types of damage they can produce, what to watch for in the sky and what to report to the Storm Prediction Centre. 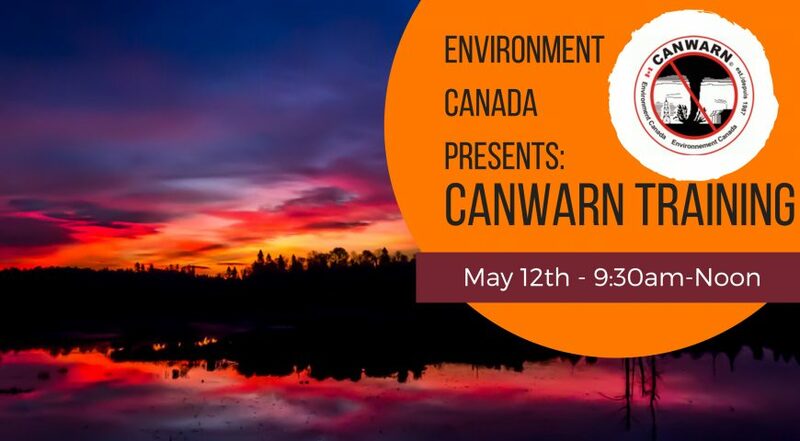 Environment Canada holds a series of training sessions across the province each spring to refresh the knowledge of existing volunteers and to welcome new ones. For more information about the training, contact Angie Grant at agrant@barklake.com or call 1.888.517.9999 ext. 1933.